You are a detective, summoned to a crime scene to investigate a freshly discovered dead body. You are a ghost on a train riding through the afterlife, but you have lost your ticket and forgotten your stop. Meet other people on the train; gather memories; decide which stop is yours. The two of you were close once, but those days are behind you. It’s time to settle your grudges for good. You are a god, locked in the peak of a mountain. You are its followers, scaling the mountain to free your god. 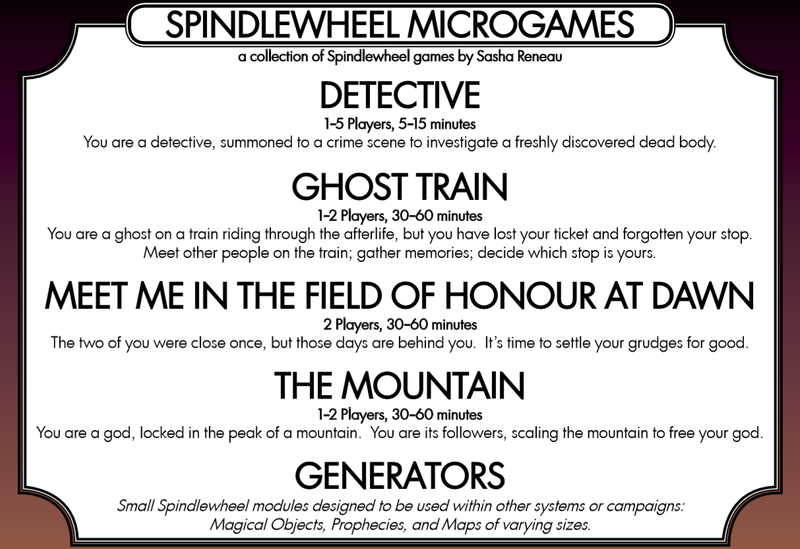 Magical Objects, Prophecies, and Maps of varying sizes. 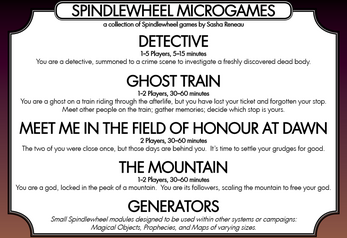 You can check out the system of Spindlewheel in its entirety at https://tinyurl.com/spindlewheel-openbeta . 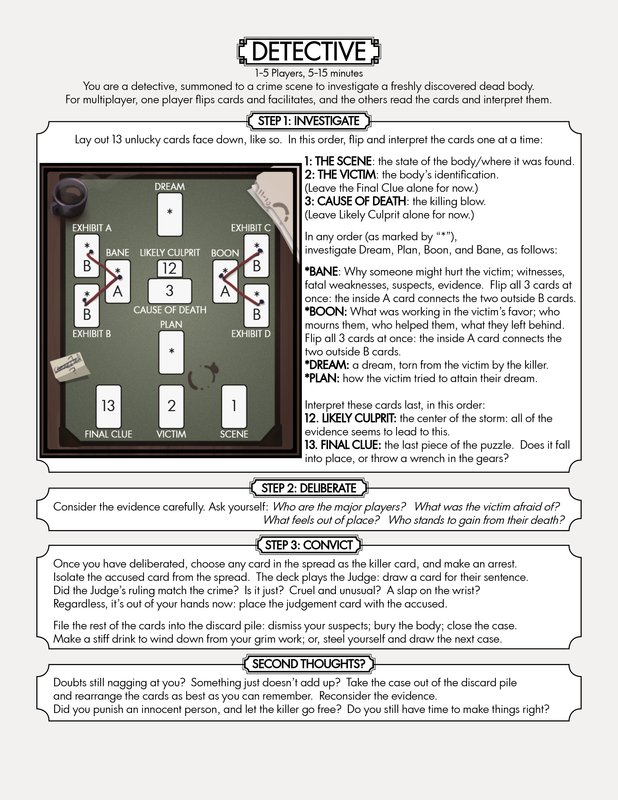 UPDATE 1/12/2019: some language revised and rules tweaked! 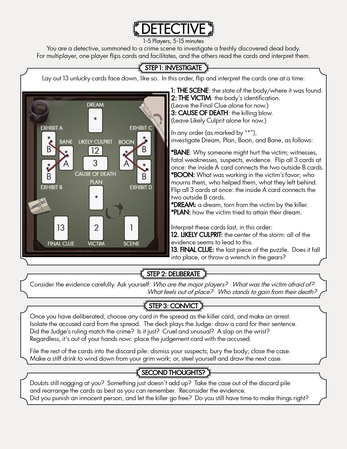 UPDATE 11/23/2018: some language revised and rules tweaked!